Federation Square is one of Melbourne’s top public spaces. 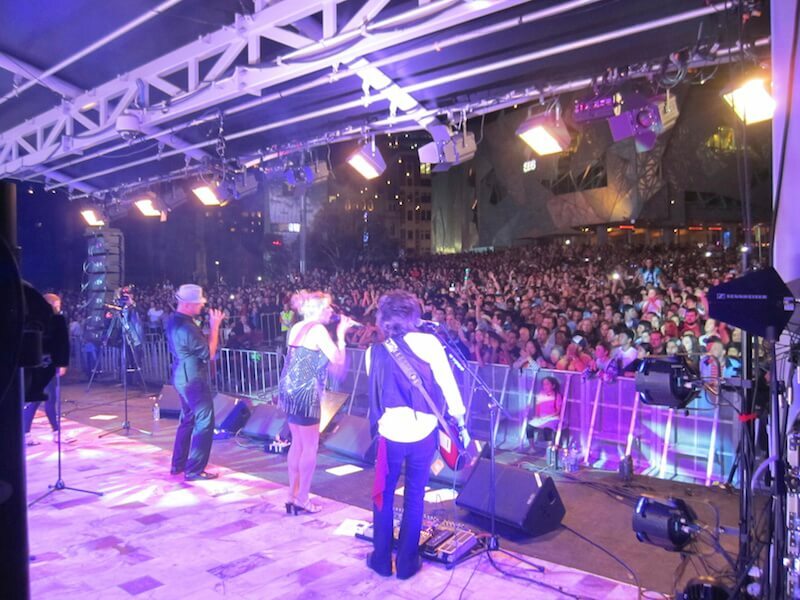 Thousands of Melbournians come to enjoy the free New Years Eve concert each year, 2012 was no exception with a crowd of approximately 90,000. 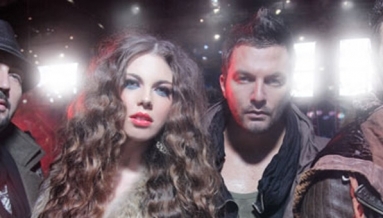 Instinct Events and Entertainment is always proud to be involved providing some of Melbourne’s best performers. The weather was perfect for the event the party goes all enjoying the evenings performances. 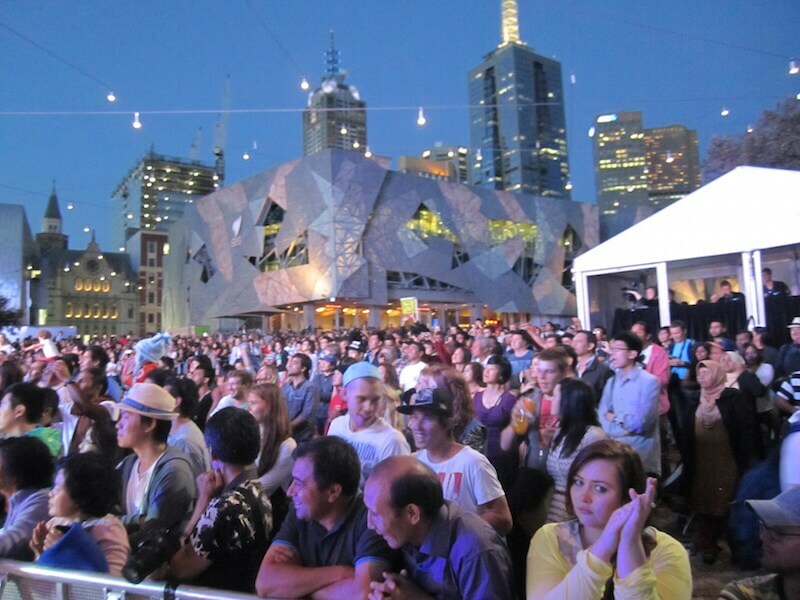 Working in conjunction with Federation Square Corporation, Instinct designed and delivered the nights entertainment. 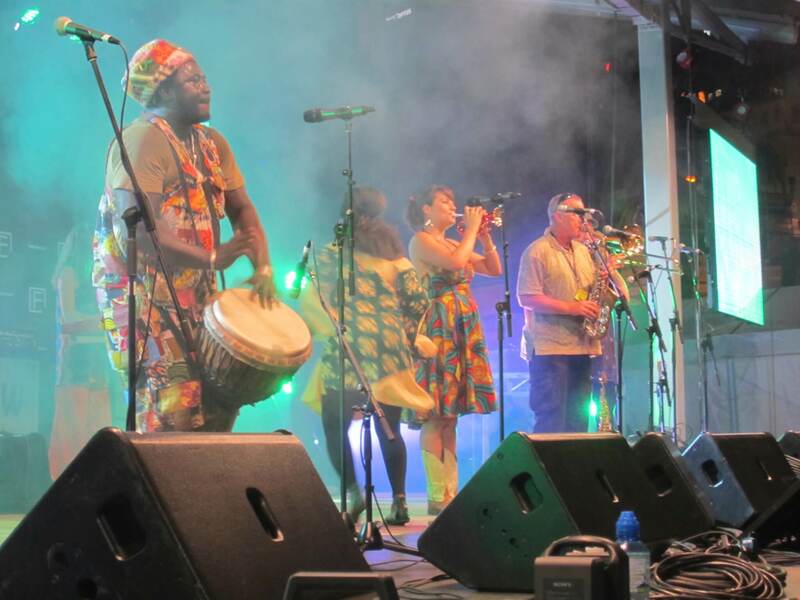 Offering music that could be performed acoustically was critical to the brief, as a precaution against the lost of power, which had occurred in previous years. Family friendly, multi-cultural and inclusive talent selection was also required. 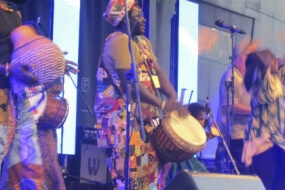 There was entertainment for everybody at the 2012 Federation Square NYE concert, multicultural act King Marong & Afro Mandinko a Gambian artist playing traditional African sounds. The Wickid Force break dancers who always ‘wow’ the crowd, the crew are recognized as the best break dancers in Australia many years running. 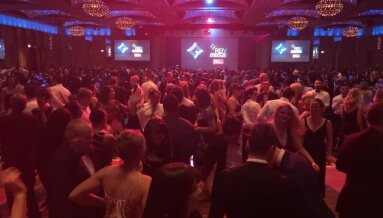 DJ Wasabi was ‘hot’ and Melbourne’s top cover band Chunky Jam 7 piece had all the revelers having fun dancing the new year in. View video above to capture the vibe. The band played everyone’s favorite top 40 tunes and some oldies including party favorites from the 70s, 80s and 90s they definitely kept everybody happy.